A weak IS is, counterintuitively, preferable to a destroyed IS. 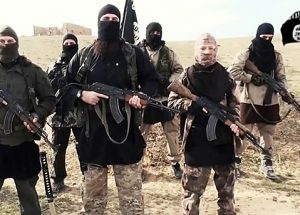 IS is a magnet for radicalized Muslims in countries throughout the world. These volunteers are easier targets to identify, saving intelligence work. They acquire destructive skills in the fields of Syria and Iraq that are of undoubted concern if they return home, but some of them acquire shaheed status while still away - a blessing for their home countries. If IS is fully defeated, more of these people are likely to come home and cause trouble.